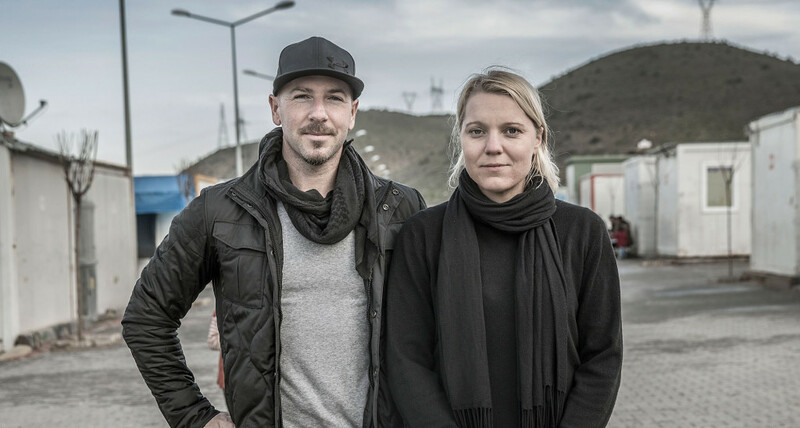 Magnus Wennman and Carina Bergfeldt in a refugee camp in Syria in march 2015. Magnus Wennman, born in 1979, has worked as a photojournalist since he was 17 years old. He started his career at the newspaper DalaDemokraten. Since 2001, he has been fully employed as a photographer for Scandinavia’s largest newspaper, Aftonbladet. Magnus is mainly focused on news and features, and has worked in more than 60 countries around the world. He has covered several major news events, including the American presidential election in 2008, the protests in Thailand, and the situation for refugees in Africa. He has won prestigious photography competitions both in Sweden and internationally, including two world Press Photo awards, 14 international Picture of the Year awards, 11 NPPA Best of Journalism awards, and 39 prizes in the Swedish Photo of the Year. He has been named “Photojournalist of the Year” in Sweden four times. Carina Bergfeldt is a reporter and columnist for Aftonbladet, and has covered tragedies and places of unrest around the world on the newspaper’s behalf, including the bombing at the Boston Marathon, the defenseless children’s situation in Afghanistan, and rapes in Burundi. In 2012, Carina was awarded the Great Journalist Award in the “Storyteller of the Year” category for her coverage of the massacre in Utøya. The following year, Språktidningen and Journalisten named her “Stylist of the Year”. In 2013, she spent a week in Texas where 2.2 million readers followed the series ”A Week with the Dead” about condemned prisoner Vaughn Ross. Outside of her journalism career, Carina has written the crime novel, Fadersmord (Father’s Murder), about domestic violence. In May 2015, she published her second book, Sju Dagar Kvar Att Leva (7 Days Left to Live) about life on death row.